Skin cancer in Canada is on the rise and the Canadian Dermatology Association has been organizing a week long campaign since 1989 to heighten awareness to the dangers of too much sun exposure. Skin cancers have the highest incidence of all cancers in Canada. The Canadian Cancer Society estimated 6,800 new cases of cutaneous melanoma and 78,300 new cases of non-melanoma skin cancer in 2015. More statcan facts can be found here. Free printables and Fact Sheets can be found at dermatology.ca. Play the following YouTube video of the well-loved song “Mr. Sun, Sun, Mr. Golden Sun” and ask students to sing or hum along found here. Why do you think these children wanted the sun to come out? Do you like the sun to come out? Why? Explain that the sun can also be harmful. Ask students when the sun can cause harm. Apply sunscreen of at least 30 or higher. Don’t forget your ears, neck and face. Re-apply sunscreen every two hours or after swimming. Wear lip balm to protect your lips. Limit your time in the sun between 11 and 4 when the sun is the hottest. Learn more about sun safety here. “I am going to the beach and I am taking…” Encourage students to name all types of things that might make a fun trip to the beach but ask them to also include items identified in the sun safety tips. Close by reminding students that they need to wear sunscreen on field trips, while playing games outside at home, at school and in their communities, and even in the winter when enjoying the sun outdoors. Ask students why people like to spend time in the sun. Review the good things that the sun does for us (e.g., light, heat, energy, plants, vitamin D). 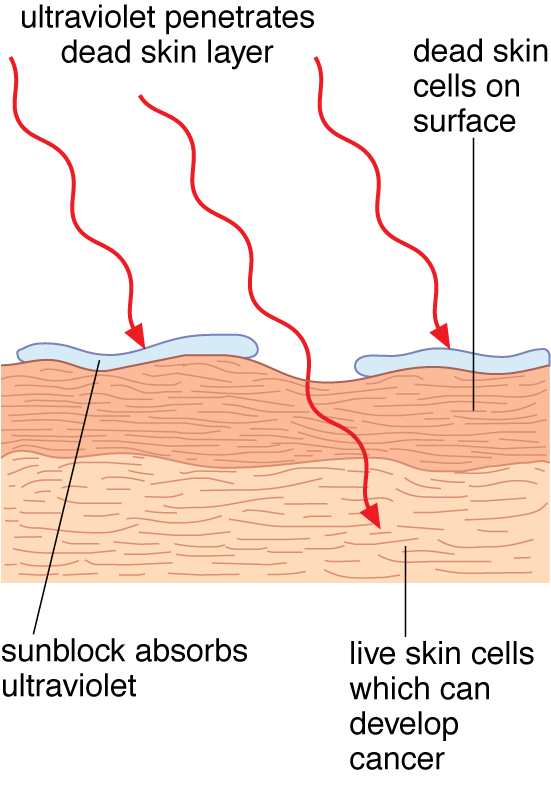 Ask why the sun can also be harmful (e.g., sunburn, cancer, aging our skin). Ask if anyone knows what a UV index is. Explain that the sun emits ultraviolet (UV) rays that can cause damage to our skin. The UV Index was developed to help people know when these rays are strong enough that skin protection is needed. The higher the UV Index, the stronger the ultraviolet rays. In Canada the UV Index ranges from 0 to 11+. Once the UV index reaches 3, it is listed on major weather sites so that people can be aware of the risks associated with spending too much time in the sun without proper protection. Explain that overexposure to ultraviolet rays can damage the eyes, cause sunburn, skin aging, and skin cancer. When the index is high it is important to remember the sun safety tips. Ask students what reasons people might give for not wearing sunscreen when necessary, even when they’re aware of the risks to their skin (Students may suggest that people dislike the smell or feel of sunscreen, it’s too much hassle, it comes off in water and they don’t bother to reapply, it looks weird, it gets in your eyes, they don’t carry it with them when they head out for the day, etc.). Invite students to work alone, in pairs or in small groups to create a new sunscreen commercial that would encourage young people your age to use sunscreen effectively when they are outside. Don’t forget that this means anytime they are outside, not just when swimming or during the summer months. Everyone in your group plays a role, either as the person or people delivering the message, or the producer, camera person, or artistic director. The commercial must contain some facts about the sun’s harmful rays, as well as a creative and unique way of overcoming objections about sun protection and getting kids to actually use the sunscreen. Create and deliver the commercials. Do you feel this commercial had all of the necessary elements to encourage young people to use sunscreen properly? Share your thoughts. 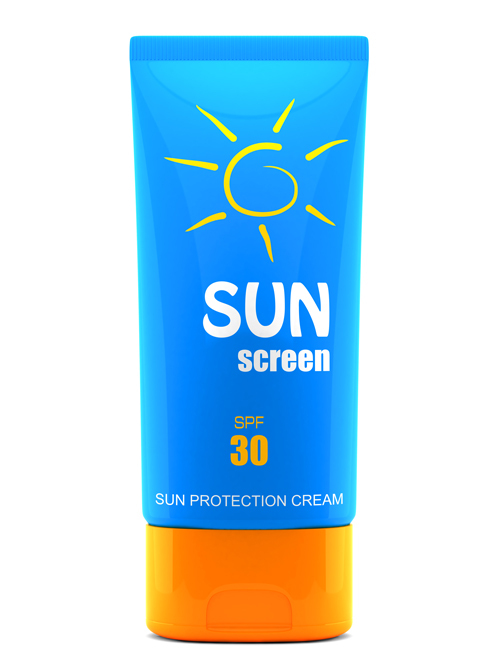 When you or your family shop for sunscreen products in the future, what will you look for? What is one thing you learned about sun safety during this activity? Will you be more careful about sun exposure in the future? Discuss. They are strongest between 11 a.m. and 4 p.m.
No tan can protect you from the sun. In fact, when you see someone with a ‘tan’, you know that the skin has been penetrated. This is the body’s response to skin damage. UV rays can penetrate through clouds, fog and haze. Don’t forget that water, sand, concrete and snow can reflect harmful rays from the sun and cause skin damage too! You are also more at risk if you are fair-haired and fair skinned, spend a lot of time outside on a regular basis, and are taking certain medications. For more information, log on here. What surprised you the most about what was myth and what was fact? Do you think most people your age use sunscreen on a regular basis when they are outside during the summer? Do you think most people your age use sunscreen during sunny winter days? Do you think most people your age wear sunscreen while playing outdoor sports? What do you think we could do to help spread the important information about sun safety that we have talked about today? Brainstorm possible approaches (e.g., posters, assemblies, guest speakers, surveys,). Allow students to work alone, in pairs or in small groups to follow through with an idea that can be shared with the school as a means of helping them to make smart choices about sun exposure. Do you think your approach was effective and will help students to be more aware of the dangers of too much sun exposure? Share your thoughts. As a result of this activity, will you be more careful about sun exposure in the future? Where else do you think you could share this information?